Among the many problems of Calvin’s theory of the cross is that it turns God into a petty tyrant and a moral monster. Punishing the innocent in order to forgive the guilty is monstrous logic, atrocious theology, and a gross distortion of the idea of justice. This debate, billed as “The Monster God Debate,” was recorded and eventually viewed tens of thousands of times online. Over the next year I received hundreds of correspondences from people around the world relieved to learn that Good Friday was not the day when God killed his Son. What Jesus did on the cross is far more mysterious and beautiful than simply offering himself as a primitive ritual sacrifice. Ritual sacrifice may appease the Aztec god Quetzalcoatl, but it has nothing to do with the Father of Jesus. The cross is a cataclysmic collision of violence and forgiveness. 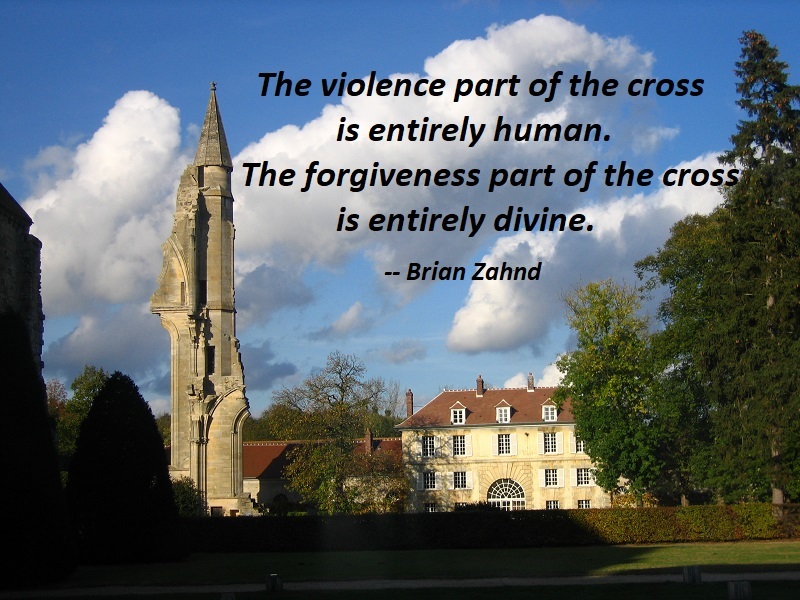 The violence part of the cross is entirely human. The forgiveness part of the cross is entirely divine. God’s nature is revealed in love, not in violence. The Roman cross was an instrument of imperial violence that Jesus transformed into a symbol of divine love. In our scriptures and creeds, we confess that Christ died for our sins, but this does not mean we should interpret the cross according to an economic model where God had to gain the necessary capital to forgive sins through the vicious murder of his Son. How would this “pay off God” theory of the cross work anyway? Did God have some scale of torture that once met would extinguish his wrath? If God required the death of Jesus in order to forgive, did it have to be a violent death? Did it have to be by crucifixion? Did it have to involve the torture of the Roman scourging? Did God require a minimum number of lashes that Jesus had to endure? Was the crown of thorns necessary? Did God require a specific number of thorns to expiate his anger? And if you say, “No, that’s absurd! Some of the abuse Jesus suffered was gratuitous torture by the hands of cruel men,” well, please explain just how this division of labor works. How much of the torture of Jesus was necessary to satisfy God’s wrath, and how much was just for the sport of it? This entry was posted on Thursday, November 1st, 2018 at 11:23 pm and is filed under God, Love, Redemption. You can follow any responses to this entry through the RSS 2.0 feed. You can leave a response, or trackback from your own site.